Keith Breen is a Lecturer in Political Theory at the School of Politics, International Studies and Philosophy, Queen's University Belfast. He is Co-Editor (with Shane O'Neill) of "After the Nation? Critical Reflections on Nationalism and Postnationalism" (Palgrave Macmillan, 2010). 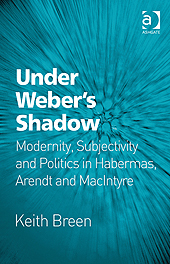 See a review of Keith Breen's book at LSE Review of Books. "Poverty in Liberalism: A Comment on the Constitutional Essentials"
"Does a political culture’s embrace of liberal constitutionalism – or does liberal political thought more generally – come laden with a deep-seated resistance to recognition of the injustice of structural poverty within a broadly affluent society, or to getting done politically whatever is required in order to abolish that injustice? For those inclined to say so, the philosophy of John Rawls might seem to pose a testing case. In our time, Rawls’s philosophical excavations of liberalism are the ones we might well regard as the most dedicatedly antipoverty of all, and so his works would seemingly be the last place to go hunting for evidence of an ineluctable resistance in liberalism to the subjugation of poverty by political means. If we find such evidence there, where in liberalism will we not? Rawls compiles a roster of “constitutional essentials,” meaning commitments that must be observable, in practice as well as in form, in the basic laws that constitute a country’s political and legal regime, in order to render that regime legitimate in the sense it can command morally the compliance of citizen with laws and policies that issue from it, regardless of disagreements about whether those laws and policies are truly compatible with the demands of justice. Now, Rawls decidedly and deliberately excludes from the constitutional essentials a guarantee to everyone of what he calls “fair” (as distinguished from merely “formal”) equality of opportunity – even though, in Rawls’s view, a regime that fails to satisfy fair equality of opportunity may for that very reason be gravely unjust. This paper asks whether the Rawlsian exclusion of fair equality of opportunity from the constitutional essentials should be taken as a sign, even within the thought of Rawls, of the incapacity of liberal constitutionalism, with its prioritized commitment to individual rights and liberties, to grasp and respond fully to the injustice of avoidable structural poverty. The paper answers “no.” It finds that constitutionalization of fair equality of opportunity remains an open and debatable question within liberalism as conceived by Rawls, and furthermore that Rawls’s own reasons for deciding against constitutionalization contain nothing to detract from his insistence that fair equality of opportunity is a strict requirement of justice. Frank Michelman is Robert Walmsley University Professor at Harvard Law School. See also my post: "Tributes to Frank I. Michelman" (Harvard Law Review, February 2012). Today I came across an article by Perry Anderson in "New Left Review" (January-February 2012) in which he answers some of the critiques of his book "The New Old World" (Verso Books, 2009) and where he criticizes Jürgen Habermas and his recent book on the European Union. The New Old World is "a systematic attack on the European narcissism that reached a crescendo in these years: the claim that the Union offers a ‘paragon’ — in the formula of the late Tony Judt, echoed by so many other pillars of European wisdom — of social and political development to humanity at large. Since 2010, the lacerations of the Eurozone have left their own cruel commentary on these vanities. But have they, for all that, disappeared? That it would be premature to think so can be seen from an august example. Jürgen Habermas has just published another book about the EU, now following Ach, Europa (2008) with Zur Verfassung Europas (2011). Its centrepiece, an essay entitled ‘The Crisis of the European Union in the Light of a Constitutionalization of International Law’, is a remarkable illustration of the patterns of thought indicated. Some sixty pages in length, it contains around a hundred references. Three quarters of them are to German authors. Nearly half of these, in turn, are to three associates whom he thanks for assistance, or to himself. The residue is exclusively Anglo-American, dominated — a third of the entries — by a single British admirer, David Held of recent Gaddafi fame. No other European culture figures in this ingenuous exhibition of provincialism. More arresting still is the theme of the essay. In 2008 Habermas had attacked the Lisbon Treaty for failing to make good the democratic deficit of the EU, or offer any moral-political horizon for it. The Treaty’s passage, he wrote, could only ‘cement the existing chasm between political elites and citizens’, without supplying any positive direction to Europe. Needed instead was a Europe-wide referendum to endow the Union with the social and fiscal harmonization, military capacity and — above all — directly elected Presidency that alone could save the continent from a future ‘settled along orthodox neo-liberal lines’. Noting how far from his traditional outlook was this enthusiasm for a democratic expression of popular will that he had never shown any sign of countenancing in his own country, I commented that, once the Treaty was pushed through, Habermas would no doubt quietly pocket it after all. The prediction was an underestimate. Not quietly pocketing, but extravagantly trumpeting the Treaty, Habermas has now discovered that, far from cementing any chasm between elites and citizens, it is no less than the charter of an unprecedented step forward in human liberty, its duplication of the foundations of European sovereignty in at once citizens and peoples — not states — of the Union, a luminous template for a parliament of the world to come. The Europe of Lisbon, leading the way in a ‘civilizing process’ that pacifies relations between states, confining the use of force to punishment of those who violate human rights, is blazing a trail from our indispensable, if still improvable, ‘international community’ of today to the ‘cosmopolitan community’ of tomorrow, a Union writ large embracing every last soul on earth. In such raptures, the narcissism of recent decades, far from abating, has reached a new paroxysm. That the Treaty of Lisbon speaks not of the peoples but of the states of Europe; that it was rammed through to circumvent the popular will, expressed in three referenda; that the structure it enshrines is widely distrusted by those subject to it; and that so far from being a sanctuary of human rights, the Union it codifies has colluded with torture and occupation, without a murmur from its ornaments—all of this vanishes in a stupor of self-admiration. No single mind can stand, as such, for an outlook. Now laden with as many European prizes as the ribbons of a Brezhnevite general, Habermas is no doubt in part the victim of his own eminence: enclosed, like Rawls before him, in a mental world populated overwhelmingly by admirers and followers, decreasingly able to engage with positions more than a few millimetres away from his own. Often hailed as a contemporary successor to Kant, he risks becoming a modern Leibniz, constructing with imperturbable euphemisms a theodicy in which even the evils of financial deregulation contribute to the blessings of cosmopolitan awakening, while the West sweeps the path of democracy and human rights towards an ultimate Eden of pan-human legitimacy. To that extent Habermas represents a special case, in both his distinction and the corruption of it. But the habit of talking of Europe as a cynosure for the world, without showing much knowledge of the actual cultural or political life within it, has not gone away, and is unlikely to yield just to the tribulations of the common currency." See Perry Anderson's article in NLR here. See my previous posts on Habermas's book here (German edition), here (English edition), and here (reviews). Perry Anderson is Professor of History at the University of California, Los Angeles (UCLA). From its conception to the referenda of 2005 where it met its end, German philosopher Jürgen Habermas wrote in support of the European Constitution. This is the first in-depth account of his project. Emphasis is placed on the conception of the European Union that informed his political prescriptions. The book is divided into three parts. The first considers the unfolding of ‘social modernity’ at the level of the EU; among the subjects covered are Habermas’s concept of juridification, the latter’s affinities with integration theories such as neofunctionalism and the application of Habermas’s democratic theory to the EU. The second part addresses ‘cultural modernity’ in Europe - ‘Europessimism’ is argued to be a subset of the broader cultural pessimism that has assailed the project of modernity in recent decades with renewed intensity in the wake of 9/11. The final section looks at the conceptual landscape of the Constitutional Convention. Shivdeep Grewal has taught at Brunel University and University College London. "Social Critique between Anthropology and Reconstruction: An Interview with Axel Honneth"
The interview was conducted by Odin Lysaker & Jonas Jakobsen and published in "Norsk Filosofisk Tidsskrift" 2010 no. 3. Q: Yesterday you held a lecture here in Oslo in which you criticized «procedural» and «constructivist» theories of justice. We would like to know a little more about your own understanding of justice and whether you understand your theory of recognition as a theory of justice too? Can the three principles of recognition – love, legal respect and social esteem – be understood as three principles of justice? A: Well, in that lecture I tried to use my own concept of recognition, and my understanding of modern society as composed of different «spheres of recognition», in order to develop an alternative concept of justice. The main intuition behind this alternative is that there is a certain tendency in contemporary theories of justice to reduce everything – in the name of individual autonomy – to only one dimension, namely the dimension we could call «respect» or «legal respect». This means that they all care mainly or only about the possibility of mutual respect through deliberative or discursive autonomy. Here I think there is a huge similarity between all contemporary concepts of justice which also include some other components, for example that the main reference point of all these theories is the legal sphere, and that the main actor in this sphere is the legal state. My intuition is that, with this reduction, two other dimensions are completely ignored, both of which are equally necessary for developing and establishing individual autonomy. So, my own aim is, if I should put it into one sentence, to readdress these two principles, which contemporary theories of justice have lost sight of, and to make them the reference point of a broader conception of justice. The first principle is the principle of love, which is enormously important for our whole understanding of the intimate sphere of personal relations; we would not even be able to explain what we mean with this sphere, with friendship, sexual relations or families, if we didn’t have a normative concept of love. The other principle, which is more disputed, is the concept of contribution or social esteem. I believe this principle to be absolutely fundamental for our understanding of the whole sphere of work. The sphere of organized work is totally downplayed by the procedural theories of justice because of their narrow focus on political citizens. Therefore I want to readdress these other components. I should mention that, with this approach I am very close to another political philosopher; not Michael Walzer, who also writes about «spheres of justice», but David Miller, who, in his book Social Justice (1976), also plays with the idea that we have to deal with three different principles of justice. I call this approach a pluralistic approach. See my previous post on "Truth and Democracy" here (with links to some of the essays, including David Estlund's "The Truth in Political Liberalism" [pdf]). Christopher Robichaud is Lecturer in Ethics and Public Policy at Harvard Kennedy School. In spring 2012 Robichaud gave a course on "Ignorance, Lies, Hogwash and Humbug: The Value of Truth and Knowledge in Democracies" [pdf]. See also an interview with Christopher Robichaud: "Philosopher Christopher Robichaud on Truth and Knowledge in the American Political Context" (Matt Bieber's blog "The Wheat and Chaff", March 2012). On September 5, 2012, Jürgen Habermas receives the Georg-August-Zinn Prize awarded by the Social Democratic Party (SPD) in Hessen. The prize will be awarded to Habermas at a ceremony at Museum Wiesbaden in the Hessian capital Wiesbaden. Member of the Italian parliament Laura Garavini will give the Laudatio. See also Michel Rosenfeld's reply [pdf]. Thinking about reasoning suffers from a failure of vision. Philosophers, social scientists, and others who discuss and analyze reasoning have a particular activity in view: reasoning to figure things out, solve problems, and reach judgments. But there is a different activity we engage in that we call reasoning. We reason in the course of living together, when we are responsive to those with whom we live and neither commanding nor deferring to them, neither manipulating nor ignoring them. Analysis of this second kind of activity has relied on the tools and frameworks developed to make sense of the first kind of activity. In this book, Anthony Simon Laden invites his readers to approach this activity of reasoning on its own terms. He claims that if we are to truly see and appreciate the role and value of reasoning in living together, we need a new, social picture of the activity of reasoning. 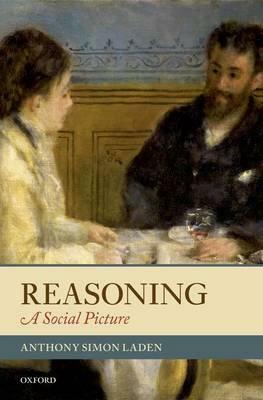 According to the social picture of reasoning developed here, reasoning is a species of conversation, and like casual conversation is social and ongoing. It is neither defined nor determined by its end, although it is governed by a set of characteristic norms. It consists of inviting others to accept that our words can speak for them as well. Reasoning: A Social Picture proposes an attractive new approach to thinking about how to live together, reasonably. Anthony Simon Laden is Professor of Philosophy at the University of Illinois, Chicago. He is the author of "Reasonably Radical: Deliberative Liberalism and the Politics of Identity" (Cornell University Press, 2001) and co-editor (w. David Owen) of "Multiculturalism and Political Theory" (Cambridge University Press, 2007). Robert Talisse interviews Anthony Laden on his new book here ("New Books in Philosophy"). November 24, 2012, will mark the tenth anniversary of John Rawls passing away. The Global Justice Program at Yale University will mark the occasion with a full-day meeting on November 30 to which friends, admirers and critics of Rawls are cordially invited. See the poster: "John Rawls: Past, Present, Future" [pdf]. The organizing committee: Daniele Botti, Rachel Payne, Daniel Putnam, Matthew Lindauer, and Thomas Pogge. Benjamin Hale - "The Veil of Opulence"
"The question of fairness has widespread application throughout our political discourse. It affects taxation, health care, education, social safety nets and so on. The veil of opulence would have us screen for fairness by asking what the most fortunate among us are willing to bear. The veil of ignorance would have us screen for fairness by asking what any of us would be willing to bear, if it were the case that we, or the ones we love, might be born into difficult circumstances or, despite our hard work, blindsided by misfortune. Society is in place to correct for the injustices of the universe, to ensure that our lives can run smoothly despite the stuff that is far out of our control: not to hand us what we need, but to give us the opportunity to pursue life, liberty and happiness. The veil of ignorance helps us see that. The veil of opulence keeps us in the dark." Benjamin Hale is Assistant Professor of Philosophy at the University of Colorado, Boulder. In his new publication "Zeilen und Tage: Notizen 2008-2011" (Suhrkamp Verlag, 2012), Peter Sloterdijk again attacks Axel Honneth for his critical article in "Die Welt" (September 24, 2009) on Sloterdijk and his view on the welfare state. Aus der Redaktion der Zeit kam ein diskreter Hinweis auf einem bevorstehenden Angriff von Axel Honneth auf meinen FAZ-Artikel über die nehmende Hand von Anfang Juni. Wie lange muß er gebrütet haben. "Only deeper European unification can save the eurozone"
"The Case for a Change of Course in European Policy"
(Social Europe Journal, August 9, 2012). A French translation in "Le Monde (August 27, 2012): "Plus que jamais, l'Europe"
"Eine Diskussion über die finalité des Einigungsprozesses böte die Gelegenheit, den bisher auf wirtschaftliche Fragen eingeengten Fokus der öffentlichen Diskussion zu erweitern. Die Wahrnehmung der weltpolitischen Macht-verschiebung von West nach Ost und das Gespür für eine Veränderung im Verhältnis zu den Vereinigten Staaten rücken die synergetischen Vorteile einer europäischen Einigung in ein anderes Licht. [.....] Die europäischen Bevölkerungen müssen lernen, dass sie ihr sozialstaatliches Gesellschafts-modell und die nationalstaatliche Vielfalt ihrer Kulturen nur noch gemeinsam behaupten können. Sie müssen ihre Kräfte bündeln, wenn sie überhaupt noch auf die Agenda der Weltpolitik und die Lösung globaler Probleme Einfluss nehmen wollen." Peter Bofinger is Professor of Economics at the University of Würzburg. Since 2004, he has been a member of the German Government’s Council of Economic Advisors. Jürgen Habermas is Emeritus Professor of Philosophy at the Johann Wolfgang Goethe University of Frankfurt. Julian Nida-Rümelin is Professor of Philosophy at the University of Munich. In 2001-2002 Nida-Rümelin was State Minister for Culture and Media. All three scientists are members of the Social Democratic Party (SPD). The appeal is part of a discussion within the SPD. See the story on SPD's website here. July 19, 2012, Jürgen Habermas talked at "The Carl Friedrich von Siemens Stiftung" in Munich. Here he discussed his views on religion in a secular, liberal state with Friedrich Wilhelm Graf, who is Professor of Theology at the University of Munich. "Wie viel Religion verträgt der liberale Staat?" "Aus ihrem europäischen Entstehungskontext können wir die Säkularisierung der Staatsgewalt als die friedenschaffende Antwort auf die religiöse Gewalt der Konfessionskriege begreifen. Aber in anderen Weltteilen hat umgekehrt erst die Nationalstaatsbildung eine Konfessionalisierung, d. h. die wechselseitige Exklusion und Unterdrückung der bis dahin mehr oder weniger friedlich und schiedlich nebeneinander lebenden Religionsgemeinschaften hervorgebracht. Im Übrigen können uns die obskuren Mischformen und zweifelhaften Symbiosen von staatlicher und religiöser Gewalt, die wir andernorts beklagen, an die zähe Gegenwehr der christlichen Kirchen gegen den liberalen Staat erinnern, auch an den langanhaltenden Kampf um die Emanzipation der öffentlichen Schulbildung und des Familienrechts vom kirchlichen Zugriff. Andererseits ist Relativismus die falsche Konsequenz aus der gebotenen Selbstkritik. Nicht zufällig bedienen sich Dissidenten in aller Welt der Sprache von Demokratie und Menschenrechten. Als Teilnehmer an interkulturellen Diskursen bildet der Westen zwar nur eine unter mehreren Parteien. In dieser Rolle müssen wir uns an einen undogmatischen und lernbereiten Umgang mit Zivilisationen gewöhnen, die auf ganz anderen Entwicklungspfaden zu Zeitgenossen einer von multiple modernities geprägten Weltgesellschaft geworden sind. Aber nur auf der Grundlage einer selbstbewussten Verteidigung universalistischer Ansprüche können wir uns von den Argumenten der anderen über unsere blinden Flecken im Verständnis und in der Anwendung der eigenen Prinzipien belehren lassen." See also some reports from the discussion in Munich here. In several of his analyses, Talcott Parsons describes the establishment of modern societies as a differentiation process across spheres of mutual recognition. In this paper, I use Parsons’ social theory of recognition to examine features of recent social conflicts. I begin with Parsons’ description of the struggles for recognition that took place during his lifetime in the highly industrialized societies of the West (I). I then use Parsons’ view of normatively ordered recognition conflicts to point out societal trends that led, in the final third of the twentieth century, to a gradual undermining of the pacification structures postulated by Parsons (II). An initial outcome of this apparent disintegration I describe as a ‘brutalization’ of social conflict. By this I mean a state of society where struggles for social recognition escalate and become anomic because resolution can no longer be found in the existing systemic spheres of negotiation (III). This paper shows the importance of the term recognition to social theory by following Parsons' theory in analyzing structural transformations that are currently emerging in response to social conflicts. Axel Honneth has recently published a major book entitled Das Recht der Freiheit. Grundriß einer demokratischen Sittlichkeit, where he, inspired by Hegel's philosophy of right, develops a theory of justice in the form of an analysis of modern Western society. The interview, which was conducted by email in the summer of 2011, is about the new book. Honneth presents the notion of ‘democratic ethical life’ (demokratische Sittlichkeit), a core concept in the book, before moving on to explain how the work relates to recent social trends, contemporary theories of justice, and Habermas’ book Between facts and norms. Further, Honneth discusses his intellectual development in comparison with his book The struggle for recognition in order to elaborate on conceptual distinctions in ‘recognition’. Deliberative democracy is now an influential approach to the study of democracy and political behaviour. Its key proposition is that, in politics, it is not only power that counts, but good discussions and arguments too. 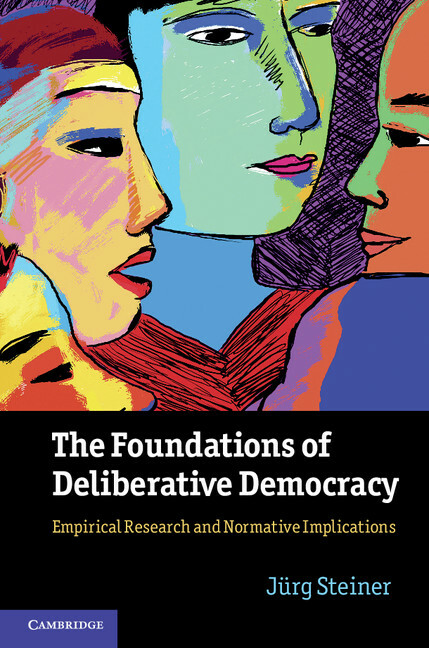 This book examines the interplay between the normative and empirical aspects of the deliberative model of democracy. Jürg Steiner presents the main normative controversies in the literature on deliberation, including self-interest, civility and truthfulness. He then summarizes the empirical literature on deliberation and proposes methods by which the level of deliberation can be measured rather than just assumed. Steiner's empirical research is based in the work of various research groups, including experiments with ordinary citizens in the deeply divided societies of Colombia, Bosnia-Herzegovina and Belgium, as well as Finland and the European Union. Steiner draws normative implications from a combination of both normative controversies and empirical findings. Appendix: Newest Version of Discourse Quality Index (DQI). Jürg Steiner is Professor of Political Science at the University of North Carolina at Chapel Hill. He is co-editor of "Deliberative Politics in Action: Analyzing Parliamentary Discourse" (Cambridge University Press, 2005). * "Measuring Political Deliberation: A Discourse Quality Index" [2003, pdf] by Marco Steenberger, André Bächtiger, Markus Spörndli, and Jürg Steiner. * "Measuring Deliberation 2.0" [2009, pdf] by André Bächtiger, Susumu Shikano, Seraina Pedrini, and Mirjam Ryser.